One of our newest non-profit partners, Let There Be Light International (LTBLI), focuses on providing safe access to power and light in Sub-Saharan Africa. They do this by distributing solar lights to individuals and families, while prioritizing handicapped and orphaned children, women, and the elderly. To amplify health outcomes, LTBLI also uses solar energy to electrify high priority off-grid health clinics in these communities. 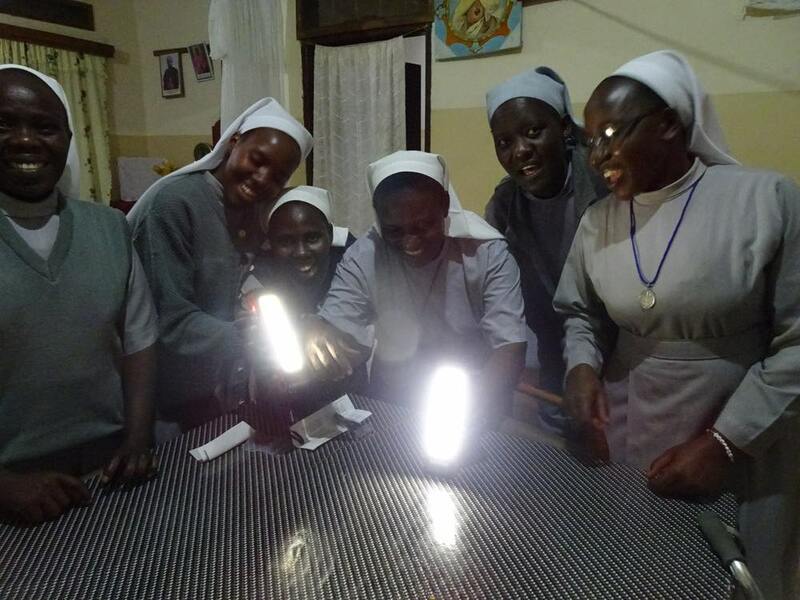 We were so delighted to partner with LTBLI on their recent service trip to Tanzania and Uganda by donating a supply of HELIOs, our all-in-one solar flashlight, lantern, and powerbank. HELIO units were provided to nurses, midwives, and doctors in 7 medical clinics, as well as to 2 off-grid schools and dormitories housing more than 200 students. What a tremendous undertaking! The wonderful, rugged HELIO lights and powerbanks were a huge hit in Uganda and Tanzania! Our deep gratitude to LTBLI for including our HELIO in their important and caring work.